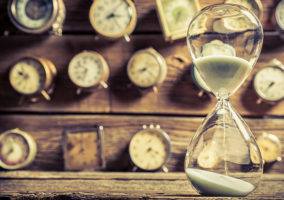 An over-reliance on Average Handling Time (AHT) as an advisor target is damaging customer satisfaction, claims Andrew Moorhouse. While AHT has long been used as a crude measure of advisor efficiency, there have been numerous reports that doing so can negatively impact customer satisfaction as well as First Call Resolution (FCR). So, should contact centres abandon targeting advisors on the measure? And where did the industry’s AHT obsession come from? Using AHT to manage a team dates back over a hundred years to the fundamentals of ‘scientific’ management. In fact, this journey began in 1899, when Frederick Winslow Taylor was on a contract with the Bethlehem Steel company, in charge of an industrial rail yard in Pennsylvania, USA. Due to the demand for steel sparked by the Spanish American war, there were 80,000 tons of pig iron bars in his yard waiting to be loaded onto rail cars. Having reviewed the books, Taylor concluded that the iron was being loaded at a rate of 12.5 tons per man per day, and that there was extreme wastage going on. In a not very scientific experiment, Taylor selected the strongest men – ten Hungarians – and offered to double their wages if they showed the maximum amount that could be loaded in the shortest possible time. In a 14-minute period, the ten Hungarians collectively loaded 16.5 tons. The men were exhausted after this short burst of effort, yet Taylor extrapolated this number and came up an estimate that one man should be loading 75 tons per day. To allow time for breaks, bathroom and rest periods, he adjusted this figure down by an arbitrary 40%, giving a new target of 47.5 tons per day – just over four times the original number. What’s not commonly known is that when presented with the new target, all the men protested and refused to work. So, to ‘prove’ his scientific extrapolation, Taylor allegedly found an ox-like Dutchman called Schmidt and offered him double pay. The deal was that Schmidt would work when told to work, and rest when he was told to rest. Over the course of a gruelling day, the strongman managed to load 45.75 tons. “Close enough” wrote Taylor. This was now affirmed as the new target for all the men, with severe financial penalties imposed if they didn’t achieve this feat. Did Bethlehem Steel’s profits increase because of Taylor’s methods? No. They fired him in 1901 and discredited his work because the data and method were deemed unsustainable. “They’re trying to reduce AHT by snipping bits out of CSat,” exclaimed one FTSE100 divisional manager. Her organisation, like many others, still measures customer satisfaction on a 5-point scale, with 1 meaning ‘very dissatisfied’ and 5 ‘very satisfied’. This divisional leader had a higher than average in-company AHT time, but she also had the strongest CSat scores in the company. In fact, her team averaged 4.85 against a company-wide CSat score of 4.49. 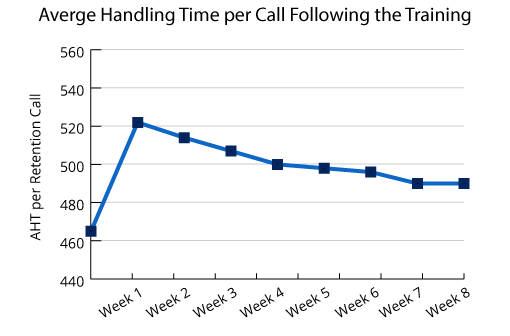 In an internal four-week pilot where she met stringent AHT targets, her team suffered an 18% decrease in CSat (down to 4.11) as call handlers rushed customers to close calls. Worse still, the call handlers deliberately cut out call elements to achieve AHT targets; stripping out ways to help customers to lower their bill, omitting to discuss payment plans to make life easier and failing to show the online support tool. The only way a team leader can reduce AHT is to add more pressure. One advisor even said: “I consciously remove important things from the conversation, so I can hit my AHT target as the day goes on.” All elements of driving brand loyalty were dropped in favour of hitting a figure. Based on the in-house experiment, this team leader concluded that an AHT focus creates a toxic environment. “The only way a team leader can reduce AHT is to add more pressure,” she sighed. As a result, her organisation still measures AHT, but it is no longer communicated to the frontline and no longer counts towards the bonus pot. With these figures in mind, the organisation calculated that this £10 million figure would increase by £250,000, if AHT increased by just 10 seconds. Ouch. On the other hand, AHT is just one piece of the jigsaw. In the same organisation, 13% of customers call back within the hour and 25% of customers call back for the same thing within one week. That’s 1.75 million ‘repeat contact’ calls that could be prevented per year. The customer is 2.8 times more likely to be very dissatisfied on the second call. What’s more, whether it’s called First Contact Resolution (FCR), right first time, failure demand, or some other term, preventing repeat contact is critical from a loyalty point of view. After analysing 34,200 customer calls in one FTSE100 company, Blue Sky’s research showed that customers were 2.8 times more likely to be very dissatisfied on the second call. To figure out what’s driving the repeat contact, the company conducted detailed conversation analysis on over 50 hours of customer calls. Their conclusions? 45% of all repeat calls are preventable, caused by advisor behaviour. Back in 2011, one UK mobile provider had a 15% market share and a workforce of 6,500. Aside from a large customer service operation, it had a significant number of contact centre staff working in the retentions team. This team managed proactive outbound retention phone calls for personal consumers and small to medium sized business customers (SMEs). This mobile operator needed to hold onto its revenue and market share as it was the slowest growing network in the UK at that time. Understandably, L&D introduced a new approach to retentions training and all staff were up-skilled in questioning skills, demonstrating curiosity in the customer’s situation, and building confidence in closing the sale. It was a robust, if not exactly revolutionary, programme. As is often the case, AHT initially went up as people applied the new behaviours in their customer conversations. However, on this occasion, the AHT remained at the higher level beyond the usual early sprint. Even eight weeks after training, AHT remained at 490 seconds; a 5.4% increase, as highlighted in the graph below. To manage the call load, the operation had to hire a further eight full-time employees within the retention desk at a cost of about £192,000. Their current calculation was based on a resource planning model of the minimum number of employees required to fill the seats, not the time needed for better sales conversations. Fortunately for the L&D Head, the business impact of better conversations was profound. Just two weeks in, customer retention increased by 13% (from 52.7% to 59.6%). Three months post-training, when the formal retention data was published, there was a net £120 million benefit from the programme. 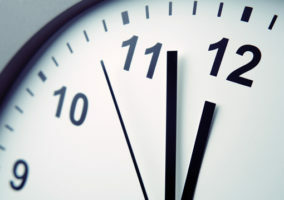 While AHT had plateaued at a 5% increase, the benefits of employees having more time to conduct the conversations could not be disputed. 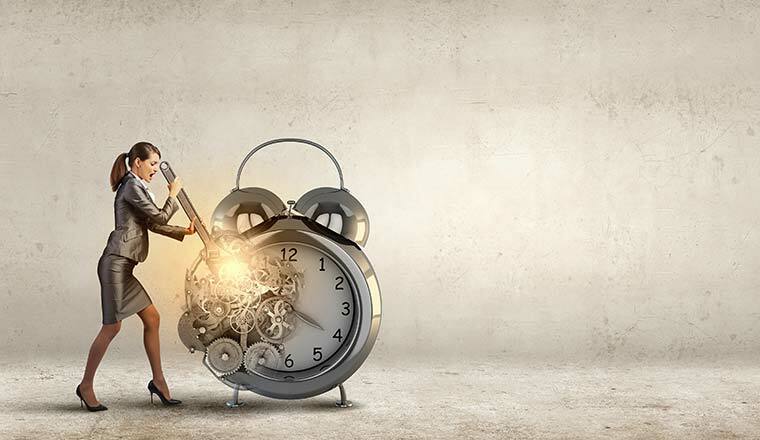 Despite the challenges an AHT focus creates, “drive down handling time” still seems to be the war cry of (almost) all call centre line managers today. 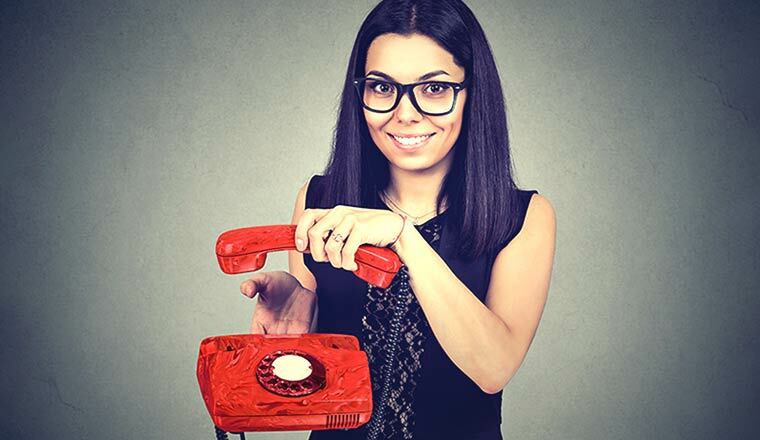 But AHT is despised by call handlers, because the other activities they are tasked with – delivering customer service excellence, or generating a sales pipeline – are diametrically opposed to closing every conversation in under 400 seconds. Of course, there is a commercial need to measure ‘bums on seats’, but that doesn’t mean it’s an effective tool to manage frontline performance. So, to go back to our real-life scenario at the start of this article: why on earth do line managers and centre heads stubbornly cling onto AHT, even when there is a ‘mandate’ to move away from this measure? 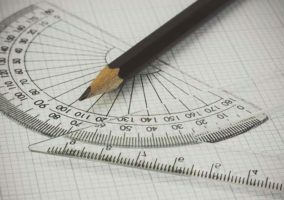 Contact centres wouldn’t use a 1900s technique such as bloodletting to try to cure an ailment today, so why would you rely on an outdated business concept like scientific management and use a stopwatch to lead your contact centre team? Tellingly, academics have since suggested that the story of Frederick Winslow Taylor’s experiment was just a parable and that Schmidt the Dutchman never even existed. Surely, the time has come to ditch the pig iron science and start a more meaningful dialogue about the leadership approaches and metrics that truly lead to success. What are your thoughts about measuring Average Handling Time in the contact centre? Find out more on this subject by reading our article: Is Reducing Average Handling Time a Good Idea?